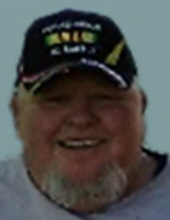 ANDERSON, IN – George G. Hester, 69, Anderson, passed away on Tuesday, August 7, 2018 at his residence following an extended illness. George was born on December 7, 1948 in Anderson to George and Violet (Brown) Hester. He attended Marion High School and Union Bible Seminary George enlisted in the United States Marine Corps and served in Vietnam from 1967-1970 and received a Purple Heart. He was affected by Agent Orange during his tour of duty. He retired from the Indiana State Board of Health and Indiana State Board of Animal Health in 2005 as a meat inspector for 23 years. He was an avid hunter and fisherman. He was preceded in death by his parents, brother-Phillip Hester, twin great-grandsons MiKyng and Kevin Lantz Jr.
Services honoring George’s life and legacy will take place at 1 pm on Monday, August 13, 2018 at the Noffze Funeral Home, 501 North Harrison Street, Alexandria. Family friend Ronnie Neff will officiate. Interment will follow with military honors will take place in the Marion National Cemetery in Marion. Friends are invited to call at the funeral home after 10 am on Monday prior to the services. Memorial contributions are suggested to Stepping Stones of Madison County through the funeral home. Noffze Funeral Home is honored to care for George and the Hester family. To send flowers or a remembrance gift to the family of George G. Hester, please visit our Tribute Store. "Email Address" would like to share the life celebration of George G. Hester. Click on the "link" to go to share a favorite memory or leave a condolence message for the family.